Þegn and Gautdjarfr(?) and Sunnhvatr(?) 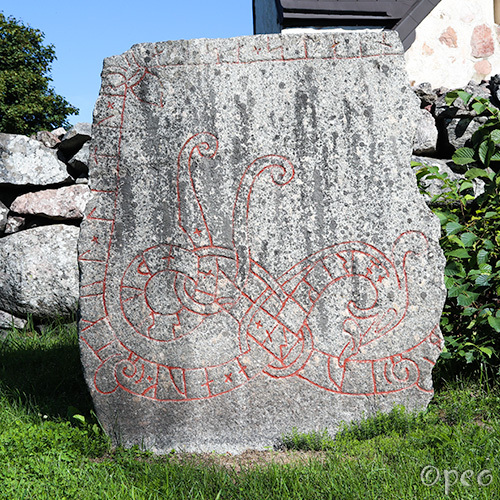 and Þórulfr, they had this stone raised in memory of Tóki, their father. He perished abroad in Greece. May God help his spirit, spirit and soul. Órœkja and Ígull had the stone raised ... ...-bjôrn, their father. 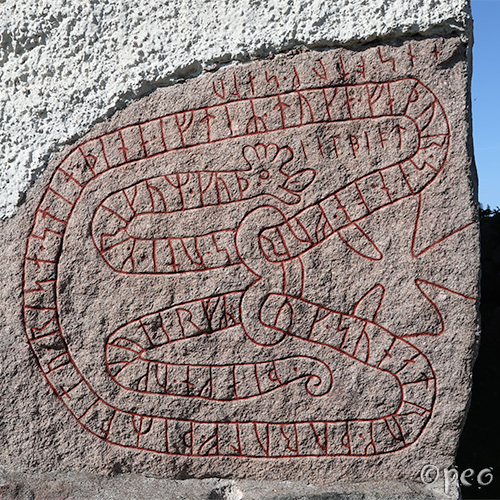 This rune stone is standing just outside the cemetary wall of Angarn church, together with the ones on the next page.